Your membership in PES can be a very valuable asset if you know how to take advantage of it. Maximize your investment in your technical and professional life with PES's help. The links below will take you to web pages where you can learn about PES and find out how both you and the Society will benefit from your membership, especially when you are actively engaged. We look forward to your participation! Meetings & Conferences: Stay up-to-date with latest advances, hear from leaders from the profession and network with your colleagues, participate as an author or organizer. PES sponsors or co-sponsors conferences and meetings throughout the year around the world. Be sure to visit our calendar links to conference web pages. Chapters: Chapters are the local arm of PES. Find your local chapter here and get the most from your membership. Link to individual chapters' web page, connect to chapter officer rosters, chapter manuals, awards & contests, student activities, and much more. Resource Center: One of the most exciting membership benefits from PES. This great database gives you access to Technical Reports and Tutorials produced by our Society's Technical Committees. It also showcases media such as videos and presentation slides from our PES-sponsored conferences around the world. All this content is freely available to PES members. Publications: PES publishes an award winning magazine that is a key benefit of your membership. You have the option of subscribing to any of five journals at low member rates. Find out how to submit a paper for review and possible publication. 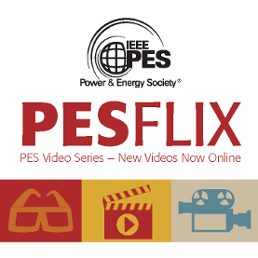 Links to the online version of IEEE Power & Energy Society magazine. You might also be interested in our IEEE Electrification Magazine that comes as a quarterly subscription and covers topics concerning vehicles, ships, trains, planes and spacecraft. Keep up to date with the latest eNews Update, connect to the Transaction paper abstracts, PES digital libraries, PES letters, Special Publications, PES videos and more. Technical Committees: PES is home to more than 25 technical, coordinating and standards development committees. Find the scopes that matches your interests. Participate as a volunteer or contribute to the knowledge they provide. Education: We have numerous educational programs available to members that are provided by PES and IEEE. Find the links to the Education Committee and Programs such as Plain Talk, PES Distinguished Lecturer, and PES-Careers. Workforce: The Workforce Collaborative is a partnership of industry, government and universities working together to address electric power industry workforce challenges. Learn about collaborative's objectives, organization, description, background and workforce issues. Become a PES Volunteer: Volunteers are active members of our Society who are involved in all aspects of technical, educational, and administrative areas. Opportunities include joining technical committees, becoming involved in a chapter, being a webmaster and helping organize a conference or meeting, among many other options. We have many resources available to our volunteers right here on the website. Can't find what you are looking for? Email us pes@ieee.org.